Inbody served as Chief Judge of the Court of Appeals for 10 years (2004-2014). During his administration he developed an appellate “rocket docket” for cases involving the abuse and neglect of children. Additionally, with the support of his fellow appellate court judges, Inbody implemented a new system of advance case screening where the court reviews all cases in advance and disposes of some cases without oral argument. Both of these programs substantially reduce the length of time that cases remain in the appellate system. Also during Inbody’s tenure as Chief Judge, the Court of Appeals instituted their “College Campus Initiative” where the court holds oral arguments on college campuses throughout Nebraska as a way of bringing the Judicial Branch to young people. Since the establishment of the Supreme Court Commission on Children in the Courts in 2005, Inbody has served as the primary contact for children’s issues along with his co-chair, Separate Juvenile Court Judge Douglas F. Johnson. The Commission provides guidance for the Judicial Branch in dealing with both abused/neglected children and with juvenile law violators within the court system. Inbody was awarded the 2010 Distinguished Judge for Improvement of the Judicial System for his work. On a national level, Inbody has been involved extensively with the Conference of Chief Judges of the State Courts of Appeal. He joined the organization in 2004 and is currently a member of the Executive Committee. Inbody took office as a Court of Appeals Judge representing the 5th Appellate Court Judicial District on April 28, 1995. Prior to his appointment to the Court of Appeals, he served on the district court bench in the 5th Judicial District from 1991 – 1995 and the county court bench in the same district from 1986 – 1991. After taking the Court of Appeals judgeship in 1995, Inbody was retained in his position by area voters, most recently in 2016. He was also retained by voters when he served on the county and district courts. He graduated from the University of Nebraska with a Bachelor’s of Science degree in 1967 and from the University of Nebraska College of Law in 1970. In addition to being the first Nebraska judge to earn The Diploma of Humanities and Judging through the American Academy of Judicial Education, he also earned a Diploma of Judicial Skills in 1990. 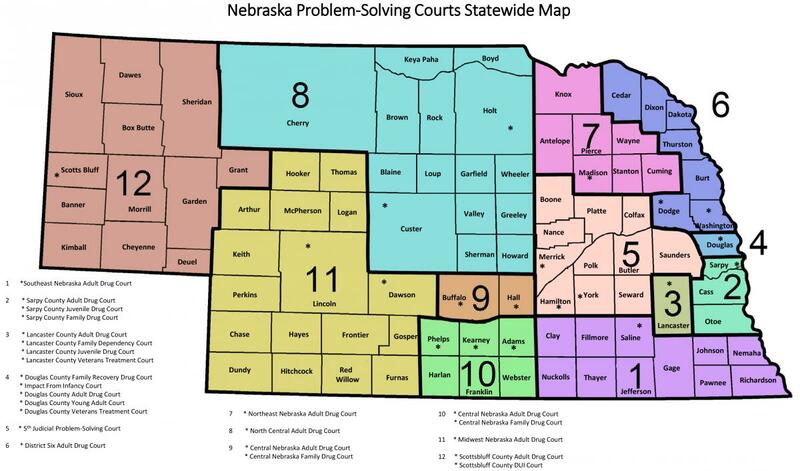 The Judicial Nominating Commission has called for applications for the Court of Appeals, 5th Judicial District (Adams, Butler, Cass, Clay, Colfax, Fillmore, Gage, Hall, Hamilton, Jefferson, Johnson, Merrick, Nance, Nemaha, Nuckolls, Otoe, Pawnee, Polk, Richardson, Saline, Saunders, Thayer, York, and Webster Counties).